Currently, the rooms at the Union Hall are full of mine workers, but you can still book a $10 tour of the Hall by calling Pancho at his home number (928) 865-2349, or cell (928) 651-0641. To visit the Blue Door Sanctuary call or email Kimberly Henderson at (310) 720-4587 or sqhenderson16@gmail.com or check out Facebook.com/BlueDoorSanctuary. 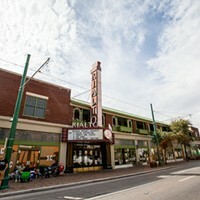 Get more info about the Clifton Hotel and the town at clifton-hotel.com. And check out the new Clifton website, launched by the mayor of Chase Creek himself, at cometoclifton.com. Replacing God's mountains with man's never looked so beautiful as the uprooted earth towering over Clifton, Arizona. Sharp curves of the Devil's Highway open up to a view of the Morenci Mine, dirt layers and black piles of refuse. An old graveyard high above the mile-and-half-wide open pit. Thick cement crosses and headstones engraved in Spanish reflected short lives that ended before the miners' unions even began. The graveyard hasn't changed in three-quarters of a century, except for shiny pink bows and plastic flowers. The living still remember those who died generations before. Mining companies have been digging up this earth for almost 150 years, collecting silver and gold, but mostly copper. The region has endured cycles of boom and bust. And now, with the price of copper high, sleepy Clifton is on the brink of a renaissance, led by locals and transplants who love the town's overflowing history and are putting their backs into its revival. Jeff Gaskin could have lived anywhere. He spent the majority of his 25-year career as a dentist at the Safford Prison, a 45-minute drive from Clifton. The now-retired officer for the U.S. Public Health Service Commissioned Corps had his pick of places to live, from best to worst, at 50. "I'm going to go somewhere no one wants to go, and find the value," he says. "I'm runnin' to 50 and gonna find out what's good about it." Gaskin was married once, but that ended after he moved to Clifton. His wife just couldn't understand why he'd chosen 50. She complained, and he endured it as long as he could. Growing up in a military family, Gaskin loved the adventure of finding a new set of friends every couple years. His father was an Army officer, stationed in Germany during World War II. When the war was over, he was demoted because of being black. Gaskin remembers his dad was told: "We can't have you telling white people what to do. We've got to bust you down to Sarge." And when a 9-year-old Gaskin was told he couldn't eat at a diner counter in North Carolina, he wasn't offended. He wanted to eat outside on the bus bench and take in the fresh air anyway. "I'm one of these guys that likes bad news," he says. "If someone's coming to shoot me, just tell me two weeks early, not as they're rounding the corner." Most of his years as a dentist, Gaskin worked in prisons. He did a stint in Danbury, Connecticut, not long before Piper Kerman would serve 13 months at the minimum security prison and subsequently write Orange is the New Black. He also fondly remembers Leona Helmsley, the renowned business woman, who Gaskin calls "the first Martha Stewart," trying to make him laugh during her prison stint for federal tax evasion. And over 20 years ago, he transferred to the Safford State Prison Complex to finish out his career, except for a year he spent on a Chippewa Nation reservation in Belcourt, North Dakota. When the temperature hit 50 below, he was done; hightailed it back to Clifton and retired two years ago. The old Morenci Miners Local 616 Union Hall was a mess when he bought it in 2000. It was a 7,500-square-foot hazard zone of history. With the help of a few former wayfarers and convicts, he fixed the roof, walls, stairs, all the electrical, leveled the foundation and tore the plywood off the old stage and the skylights. The windows were good except for a few bullet holes. And although the hall had a secret water line where Gaskin could get his water for free, he told the water company to go ahead and charge him. The old escape route is still there, with a hidden tunnel leading through the walls from one end of the hall to the other. "You just tell the police, 'Why no officer, we haven't seen him.' And meanwhile, he's running out the backdoor," Gaskin says. He asked local handyman Dave to put in an escape ladder out the back. Dave likes to work three hours a day, so Gaskin gives him three hours a day. With his knack for decorating (Gaskin used to design display cases in the prisons), he added his touch to the old hall, with paintings depicting images of Africans and Native Americans. He bought the kettledrums from the old Clifton High School when it closed due to dwindling enrollment. 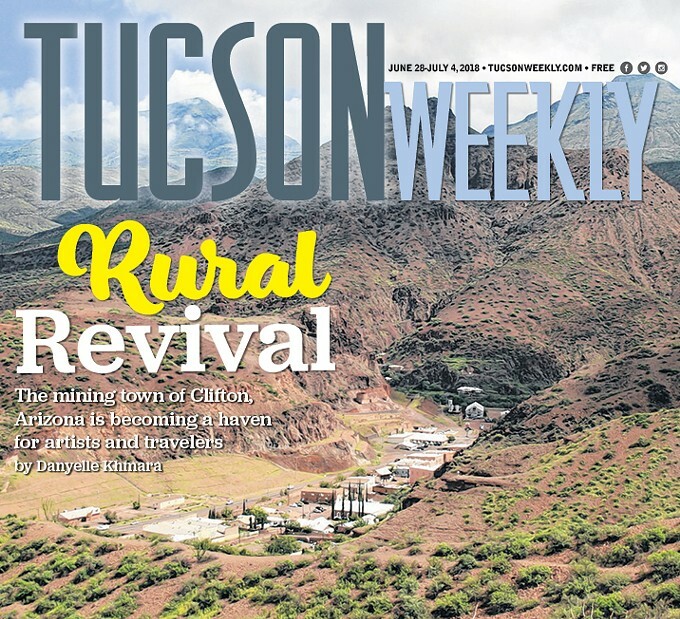 Statues of zebras, a tiger and javelina are on display, along with vintage Singer sewing machines, old trunks and a painting of the Morenci mine in blues and reds against a bright yellow wall. Leaning against a stage in the main hall are framed picket signs with phrases like "boycott non-union lettuce." Display cases are filled with cultural mementos from Gaskin's travels as a volunteer dentist to Mexico, Central America, Haiti, Suriname, Israel, Cambodia and Sri Lanka. But the prize decor of the hall is one that can never be moved: the 10-by-40-foot mural of the 1983-1986 United Steelworkers strike in Clifton and neighboring Morenci. The unions hired two artists to paint their plight—the sacrifice and betrayal, the tear gas and the picket lines, Phelps Dodge, Cesar Chavez and the downfall of the unions. The Union Hall saw the evolution of a people, their triumph and tragedy. And Gaskin took that legacy, tore away the plywood and allowed it to breathe again. The unassuming entrance of the Union Hall opens into an elegantly sparse chamber with gilded ceilings and a slight smell of sulfur, a byproduct of proximity to the mine. The room is dimly lit, and defiant faces of the union workers shine. The mural stretches to either wall, ceiling to wood floor, reverberating the history of the town. At the mural's center is a larger-than-life Latina woman. Wearing a hard hat, she stretches an arm into flames, which are simultaneously smelting a copper coin and breaking shackles. This same woman showed up at Gaskin's door once, late at night. Not recognizing her, he told her they were closed. Time changes people, she said, asking to see her mural. Gaskin told her she hadn't changed a bit and let her in. He never saw her again after that. But the mural's creator, David Tineo, just happened to be there that night, after 20 years of not seeing her. Tineo says she was one of the first women to work heavy equipment in the mine. When Tineo painted that mural, more than 30 years ago, the strike had been virtually over for two years. In 1981, the price of copper plummeted, and many mines shut down. 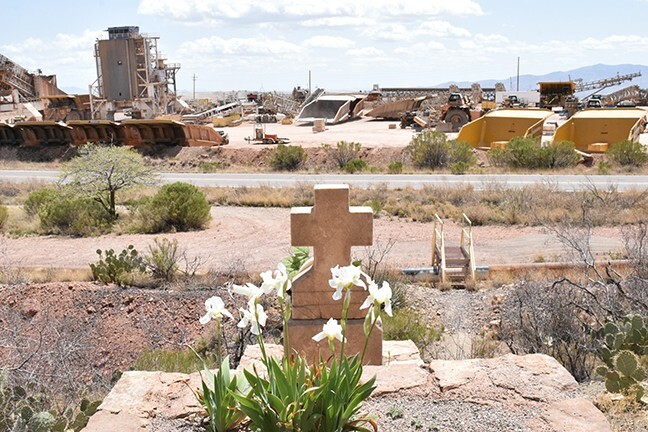 The Phelps Dodge Corporation, who owned the Morenci Mine before it was bought years later by Freeport-McMoRan, slowed production way down. People were only working a few days a week. In '83, the company announced a wage freeze and other cuts, and union leaders called a strike. As workers began to strike, animosity grew between striking miners, scabs, Phelps Dodge and local authorities. Violence broke out. 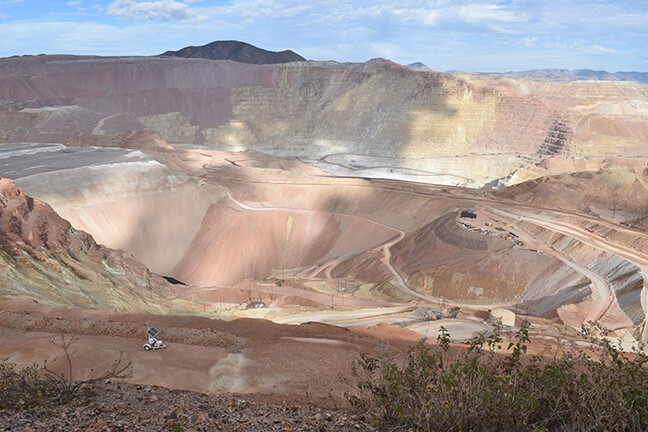 In a rare move, the mining company began hiring new workers, from Tucson and Phoenix. Violence escalated. A huge crowd of angry strikers gathered outside the Morenci Mine, which led to then-Gov. Bruce Babbitt sending in the National Guard, tanks and helicopters to break up the strike. Tineo says it was like a war-torn third-world country, complete with tear gas, arrests and snipers in the hills. And not long after the strike began, many workers returned to the mine; others were replaced. But in '84, the new workforce voted to end the unions. Dwindling numbers of dejected workers continued to picket, and the strike didn't officially end until 1986. Arriving after the violence had ended, Tineo based the mural on articles, film footage and conversations with people who were there. After three months of research, he painted the mural with help from artist Tomas Bandaries for another two-and-a-half months. Tineo says he and Bandaries were threatened with physical violence by people against the unions. After that, they only worked at night to avoid backlash. "It was the beginning of the end of the labor movement," Tineo says. "It opened the door to the right-to-work state. But there was a time when a billion-dollar corporation could not destroy something that was the love of the people." The workers didn't compromise, and they lost. In the mural, next to the smelting fire, a uniform row of scabs—those who broke the picket line and continued working through the strike—march into the mouth of a beast, spewing smoke into the sky where a dove flies, wings spread wide. On their backs is an on-off switch. Other workers hold picket signs and break chains. The characters are cartoonish but bold and full of movement. A woman and her child are sprayed with tear gas by a man in uniform, the Arizona flag on his shoulder. There's an image of Cesar Chavez. A weeping angel takes the place of a sniper on the hill. 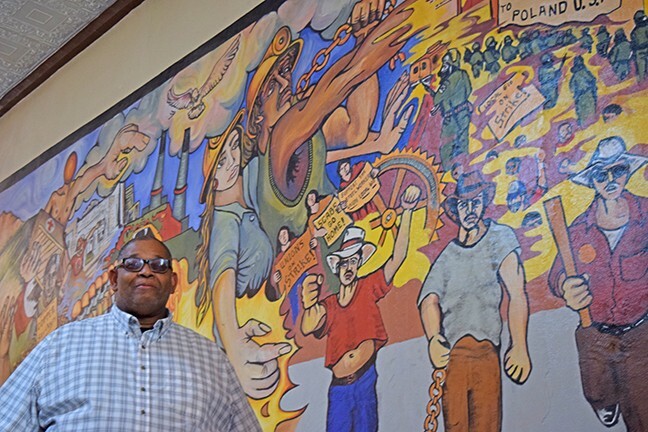 Tineo didn't get paid much for the mural, but that's not why he painted it. The majority of workers were Mexican-American and Native American. Many were second- and third-generation miners. Tineo saw the importance of preserving the workers' story. "It's a records of the events that occured, so people will remember everyone's entitled to the right to a decent living, decent working conditions," he says. 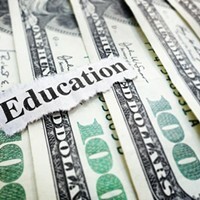 "Great wealth was made off the hands of the worker. I'm here to record what has occurred so history doesn't repeat itself." When Gaskin bought the Union Hall, it was abandoned. Tineo says Gaskin's the right owner, one who wants the union's story told. And the "heartbeat of that story," as Tineo puts it, remains in the hall where it belongs, where it was born and where it died. "It's a voice, a spirit, and no amount of money or industry can erase that—the humanity, the humanness of ourselves," Tineo says. "That's Clifton." Gaskin doesn't just fill his hall with art. He fills it with people, who gather in the dining room. His friend, Lydia Gonzales, cooks refried beans, fresh tortillas and sour cream enchiladas in the tiny kitchen, as quiet and comfortable as if she were in her own home. Lydia and her husband, Francisco "Pancho" Gonzales, watched the strike come and go in this hall. Pancho says he was born in the bottom of the mine. Phelps Dodge buried the town of Metcalf under the mine's tailings after relocating its residents to Clifton and Morenci. Metcalf was once home to 4,500 people. The town's history is now all but erased. 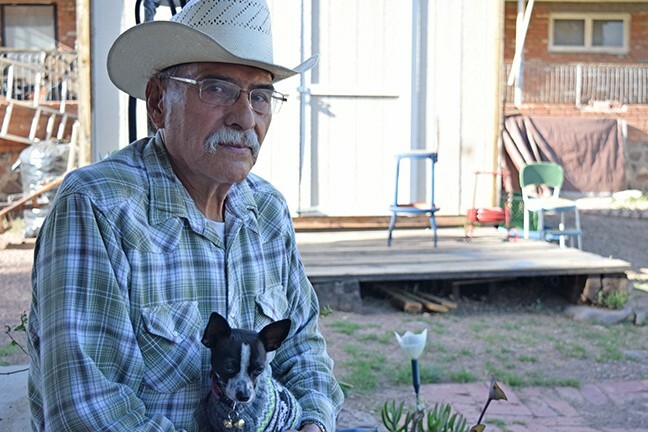 But Pancho, born in 1936, says he was the last baby born in the town. "I got a bad habit," Pancho says. "When I go, I take the town with me." He learned to drive in a cattle truck, running down dirt roads in Morenci and Clifton. He saw the old Coronado Trail turn into U.S. 666, then Route 191. Pancho remembers one of the first picket lines, in 1947, in old Morenci, right at the entrance to the mine. He was just a child, but he and his brother delivered eggs from his family's chickens to the picket line. Pancho says in the '40s and '50s, people came to the Union Hall to socialize, play pool, have parties and hold union meetings. His dad worked at the mine, and so did he. In '55, he started working the smelter right out of high school. He was in the union his first 13 years at the mine. And they used to strike all the time, he says. There was a time when working 26 days in a row with only two days off led to a strike. Vacations were practically unheard of. The strikes were the only break people got. "They were working us to death," Pancho says. "A two-month strike was a vacation. People went to Hawaii. People went to Mexico. We had money. Everyone had two cars." When he started in 1955, Pancho made $11 a day. By the time the unions died, he says workers were making $60 to $70. Pancho worked his way up and became one of the first Hispanic foremen at the Morenci Mine. He was a foreman when the 1983 strike happened, and he crossed the picket line. "I had to work," he says. "There was no two ways about it." Winding up the 191, past black valleys of slag, are rows of cookie-cutter houses, inhabited by the lucky mine workers who made it through the housing waitlist. The price of copper has been rising, and Clifton's hotels are full of workers, as is the trailer park in town. The waiting list with the Freeport-McMoRan housing office has over 600 names on it. At the top, a field is littered with monstrous dump-truck open-box beds, cranes and a loading machine perpetually moving ore.
"Everything's the mine," Gaskin says with a nod toward the expansive pit and its interweaving dirt paths, miles wide, dotted with massive mining dump trucks always working. And across the street is the old graveyard, unchanged by time. Terry Johnson, Clifton's resident reptile conservationist, says we're in luck as we walk past the prayer flags and Buddha statue adorning his front porch: Apparently, the reptile room is less smelly today. One cage is empty. The little gopher snake must have escaped, he says. All of Johnson's snakes bite, but he warns that one of them is "drop for drop, the deadliest rattlesnake there is" as he opens the front of said snake's cage as wide as it will go. And the two Gila monsters—named Ewww and Awww for the sounds kids make when they see them—have bites that are not life threatening, just very painful, Johnson says as he gently grabs one and brings it in for a closer look. His 20 snakes all have names. 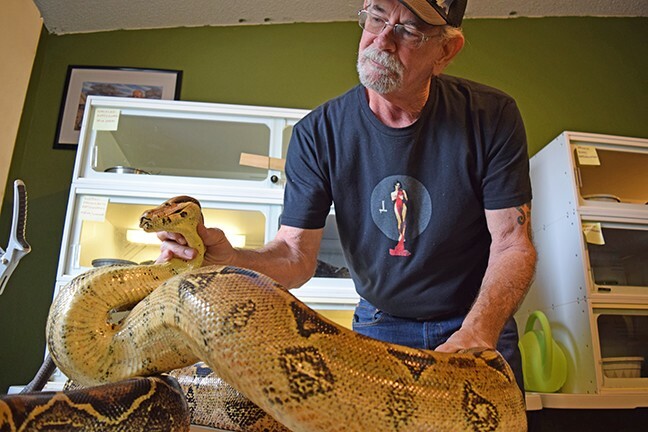 Ruby, the 60-pound boa, is an old girl at 18. Johnson caught Darkness in town, somewhere the western diamondback rattler shouldn't have been. Twelve of his snakes are rattlers he caught. But he's rescued many more than what will fit in this room. The engineer supervisor, with close to three decades working for the mine, catches snakes mingling in the people world and moves them to the closest suitable habitat. Sometimes, that's his house. "You can always trust a rattlesnake," he says. "They don't pretend to be anything else." Leaving the reptile sanctuary, we head back to town for the annual Colors of Copper art show and wine tasting. It's across the street from the Union Hall, in another restored hall that belonged to the unions and now belongs to Gaskin. Clifton Councilmember Barbara Ahmann runs her nails, adorned with chipped blue polish, through her curly, dark hair. She's an artist who ran for office because she was tired of hearing people complain that the council "should do something," she says, sipping her wine. And as a member of council, she does do things, like writing the grant that funded the town's cherished splash pad. Her husband, Steve Ahmann, runs the community garden and also built a many-leveled garden surrounding their home—a perpetual project of greenhouses and wine-bottle-and-dirt terraces full of squash, strawberries, tomatoes and a variety of peppers. He's dubbed Gaskin the mayor of Chase Creek, the street that holds both union halls. Stanley Peterson bought the old bank at the beginning of Chase Creek. The People's Bank and Trust Co. is three solid brick stories that were abandoned long ago. Peterson is fixing it up with his friend of 35 years. They've put in new stairs, floors and windows. His family's been in the area for generations. It's the first time in his life that he's seen the second and third floor without boarded-up windows. Peterson also worked up at the prison, in food service. The prison is one of the few employers around, besides the mine. 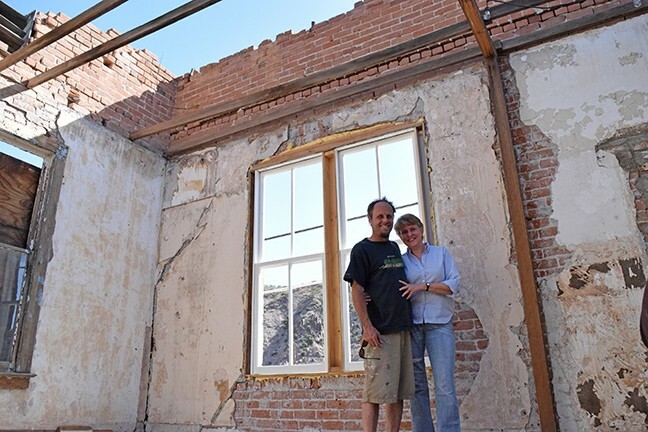 Karen Crump and Matt Frye bought the Old Central Hotel for $3,000 and are restoring it themselves. With its 12-foot high ceilings, they want to turn it into a bed-and-breakfast with a coffee house, maybe a bar. They dream of enjoying live music under starry skies on the roofless top floor. Lon Schaub, a strappy, white-haired guy with a perpetual smile, works at the Ace Hardware, which is combined with a Bashas'—the modern incarnation of the company store. Old photos of the mercancia's first version hang on the walls of the Ace. That old staple is now at the bottom of the mine, along with everything else. 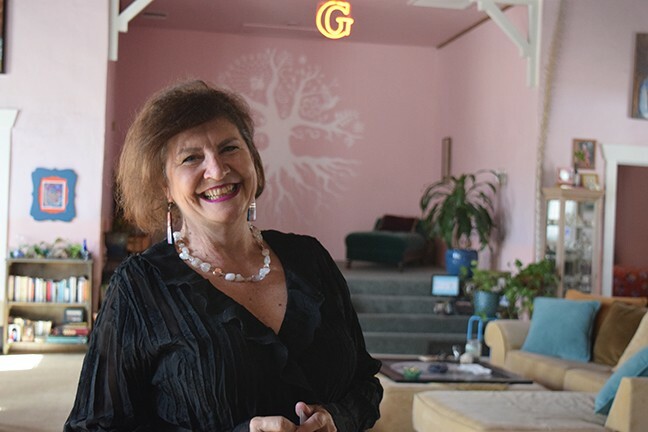 Not far from the Union Hall, across the bridge over the San Francisco River, is Kimberly Henderson's church turned bed-and-breakfast, Blue Door Sanctuary. It was run-down when she bought it in 2006, when her 19-year-old son was diagnosed with leukemia. She almost backed out of the purchase, but her mom told her, "Kim, when this is over, you're gonna need a big dream on the back end." After her son died, Henderson restored the church. She built mosaic soaked in prayers into the walls. "What is broken can be put back together again," she says, running her hand over the wall that holds pieces of broken tile, beer caps and bits of figurines from trips she took and people she's loved. The main room holds facing rows of blood-red theater seats and colorful pillows—a gypsy haven. A pink tree is painted on the back wall. It has no leaves but an air of blooming to come. Every corner and room is blessed with Henderson's style, her past and future. A small woman from a Midwestern meat 'n' potatoes family, Henderson worked as an educator in the Safford prison for 20 years. She taught self defense to the inmates. She broke up fights. One time, shaking but fierce, she hardly noticed the men's blood on her hands until she'd broken them apart. She was compassionate but held inmates accountable. She taught them to talk things out. She taught them to paint. "It's never too late to catch the ones who fell through the cracks," she says. She moved into the church three years ago and started renting out rooms. Mine workers were putting in new gas lines across the street. She made them food, and they moved in. Now retired, she runs her bed and breakfast, hosts birthdays and baby showers. She listens to the kids laughing at the nearby splash pad and dreams of the trips she'll take, like walking across Spain, making friends on the way. "I'm a one-way ticket sorta girl," she says. The day wears on. Wine is poured. And Clifton's people can generally be found between the art show, Henderson's church and Gaskin's Union Hall, walking on raised sidewalks (the right height for a lady to step out of her carriage) past brick buildings in various stages of erosion and repair. From the street, there's a clear view of Peterson in his recliner, on the top floor of the old bank, watching TV and drinking Bud Light. The mine that runs year-round is "a necessary evil," says Barbara, the councilwoman, who's seen two cycles of boom and bust during her two decades in Clifton. "I just thank God for putting it all in the same spot 'cause otherwise we'd dig up the whole world." As the sun sets on those mountains of tailings, slag and copper refuse, Johnson walks down the street, wine glass in hand. He tips it to us as we pass by. He not just an engineer and local reptile expert, he's also an environmentalist. He says he's an ad hoc member of the mine's environmental department. He educates mine workers on little things they can do, like picking up their beer cans after a day at the river. There's enough copper to pilfer the earth's coffers for generations, but if the price of copper drops, the families who rely on that living have no backup. The little businesses that sprung up during this boom, they'd be done too, Johnson says. "I wish we had more ecotourism," he says. "We could be another Sedona. 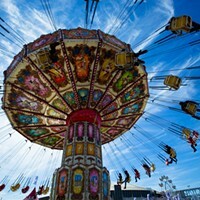 This place is so cool." Tineo, the Union Hall artist, says he sees signs the current mining company is more invested in its workers: It paid for the splash pad, brought a gym and Starbucks to Morenci. He believes change is possible. The story he told in his painting was the mine as a monster eating the people. And when the mural was unveiled, people were in tears. "There's a need to heal," he says. "But there's new roots that grow from the bloodshed that went into that town." Tineo thinks Clifton is going through a rebirth, a renewal. He says the new people coming in, opening little shops, restoring old buildings, are the heartbeat of the community. But he'd like to see the mining company step up and help the town become self-sustaining. "Those who benefit from resources should consider culture, families, not just leave," he says. "When the companies leave, everything is gone." "I sold my soul to the company store," Lon Schaub says, recalling the words from an old-timey miner song. He opens a bottle of wine. A small table and chairs fits just right in the cozy Union Hall kitchen. Everyone has a glass except Gaskin. He sits back and listens to his people tell their stories. In Clifton, Gaskin says, you've got time to dream. With nothing going on, people have time to learn an instrument, to write a book, to make a plan. Clifton's dream makers wear their stories like fine pieces of jewelry. They embedded them in the walls of the churches and union halls. Inescapable loss and irrepressible joy mingle in the celebration of this town, its ability to weather the gutting of the world. And the mayor of Chase Creek, a man who's traveled the world, would rather look for the diamond in the rough than pull money from the bank. His legacy is in Clifton and his investment in its people. Turning the Union Hall into a bed and breakfast is purely about having fun, Gaskin says. "It's about making people happy. How do you get the guy who only wants to do three hours work happy?" And still, Clifton's renaissance remains as unknown to the world beyond those mountains of slag, copper and earth as the escape door in the Morenci Miners Local 616 Union Hall. As a thousand skilled and unskilled workers zoom through without blinking, on their way to the mine, Clifton residents shape their worlds, full of history, art, comfort and community. When copper is in high production, the town begins to sparkle a little brighter. And the Mayor of Chase Street is stirring the pot, sprinkling in as much joy and fun as he can muster—no complaining allowed.